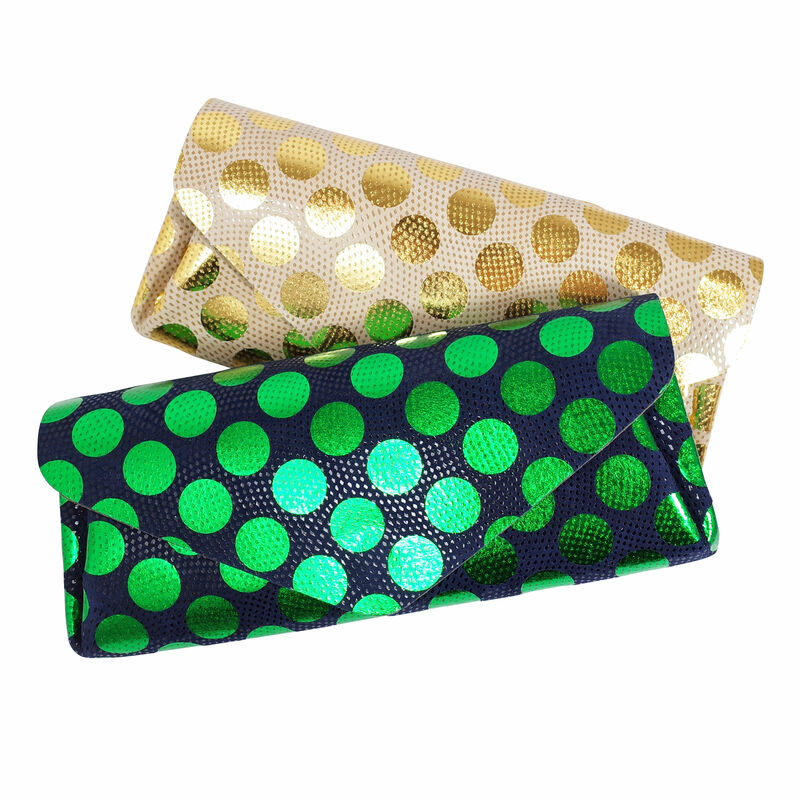 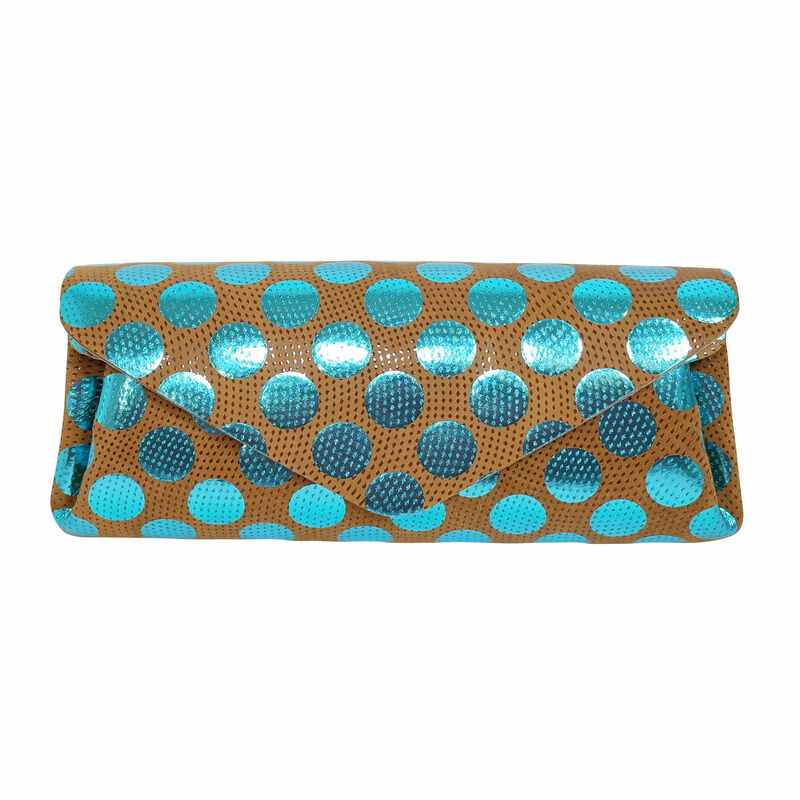 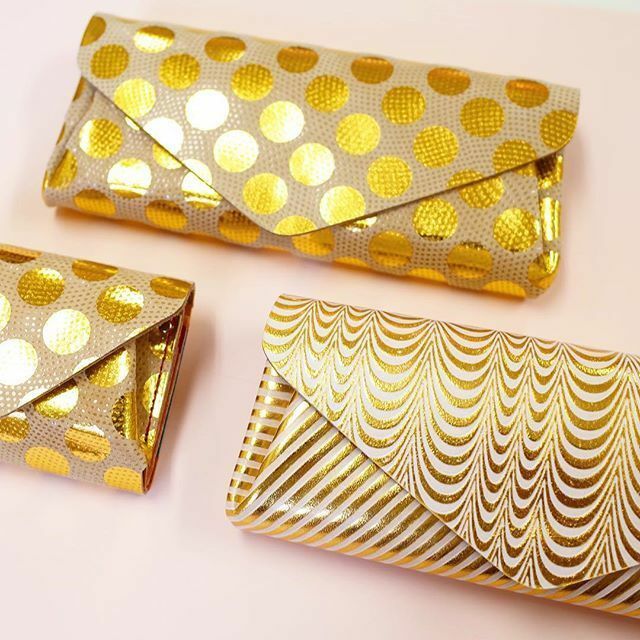 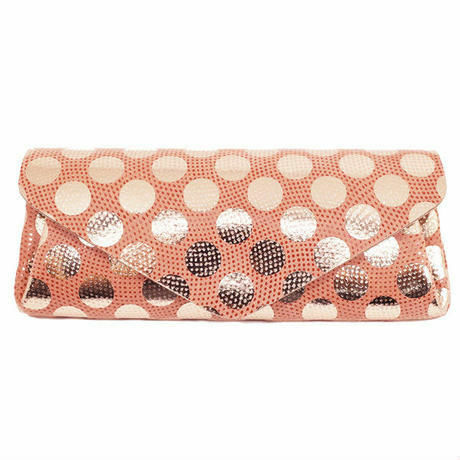 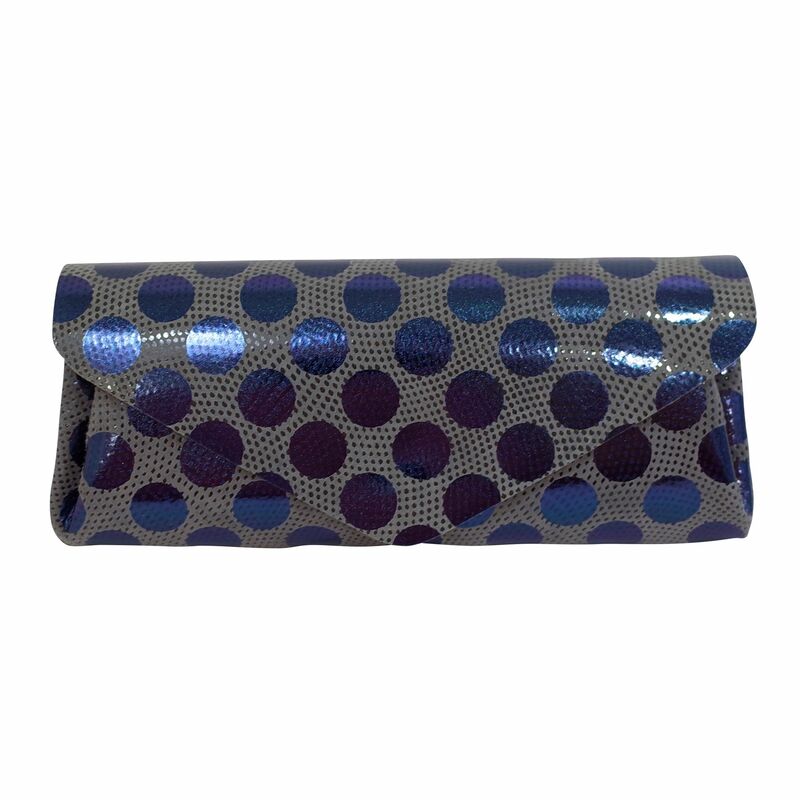 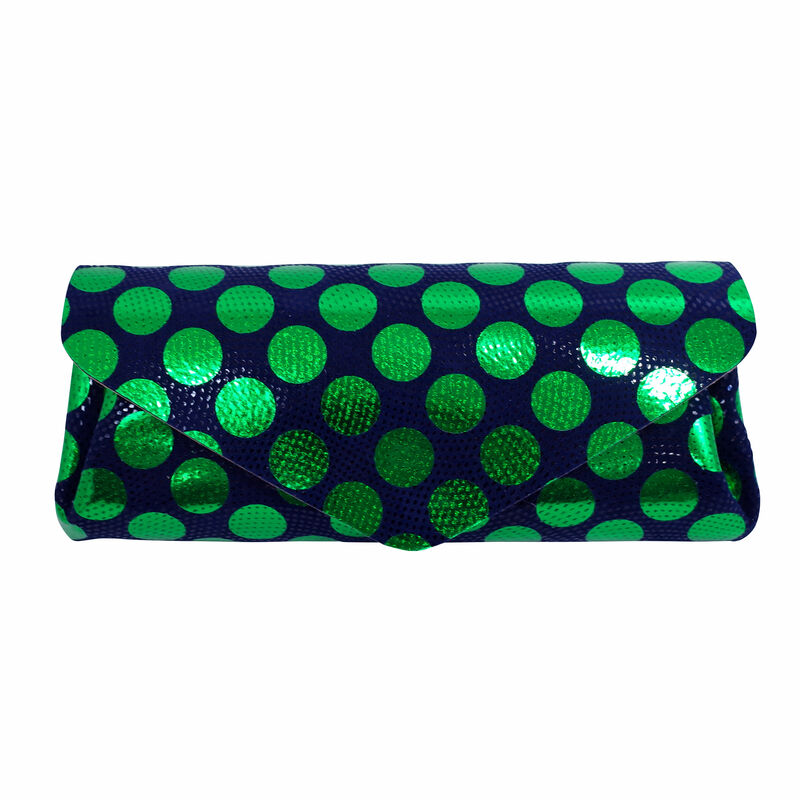 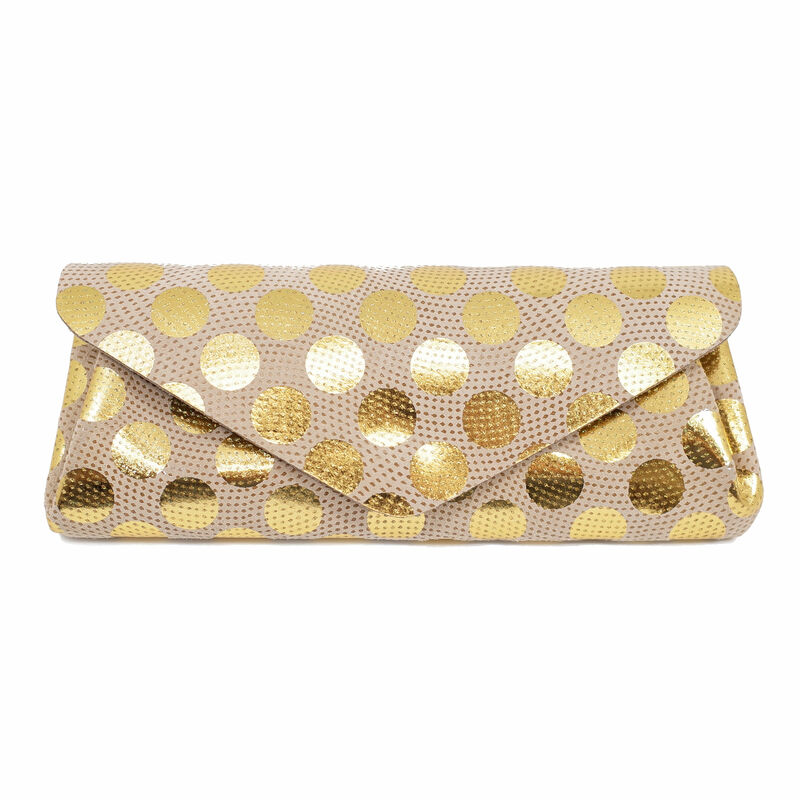 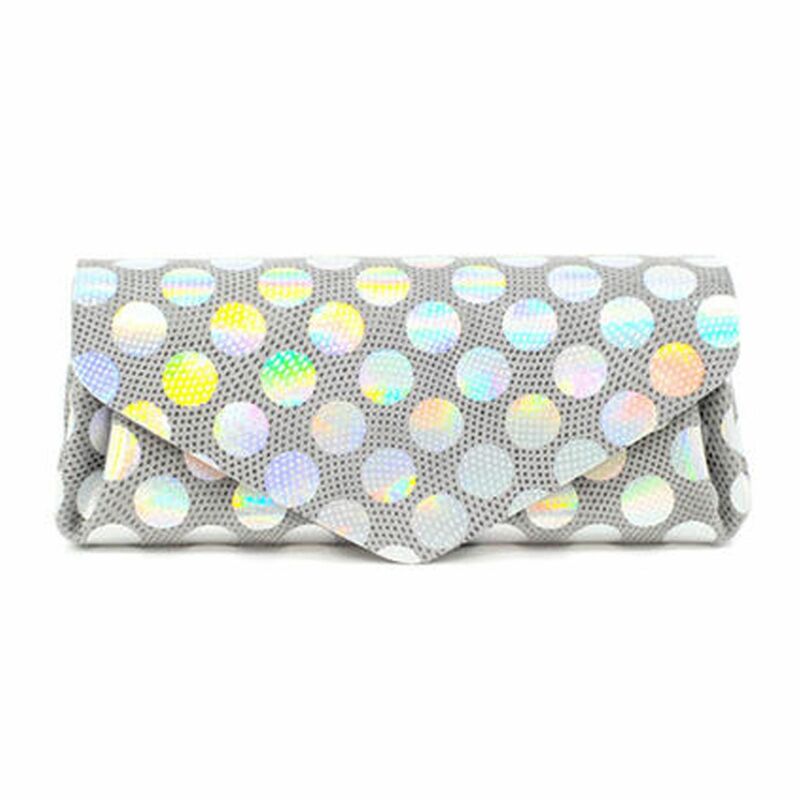 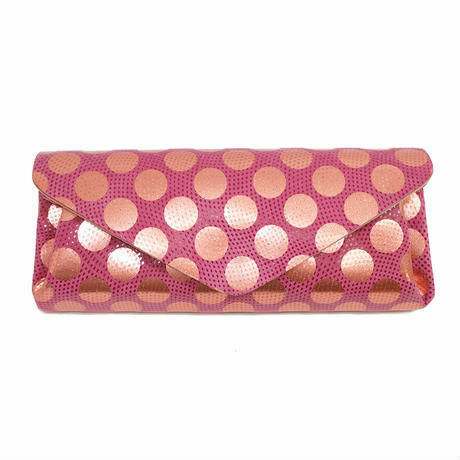 Leather long wallet with shiny polka dots. 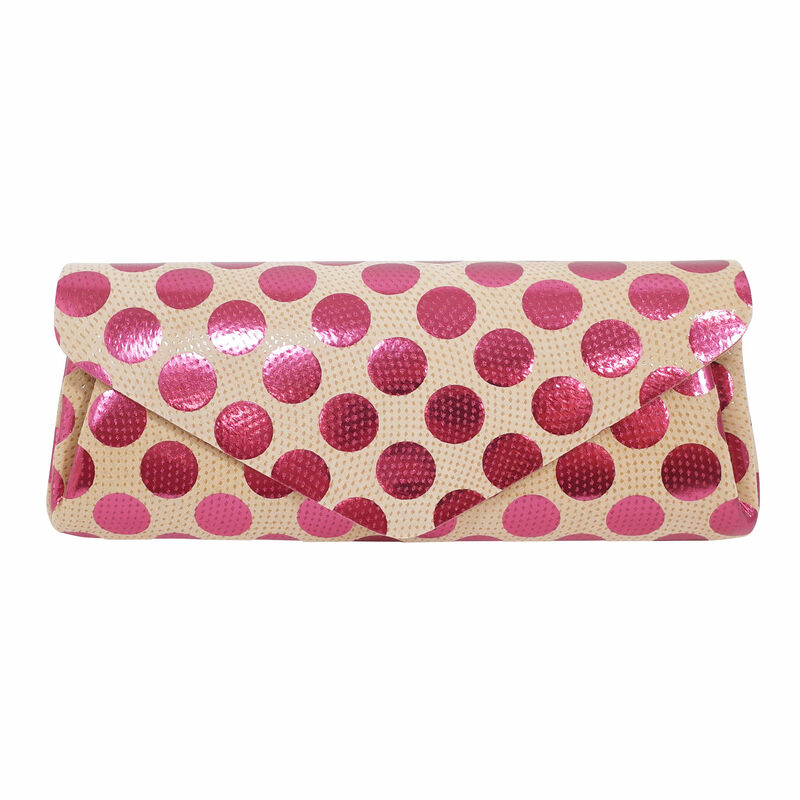 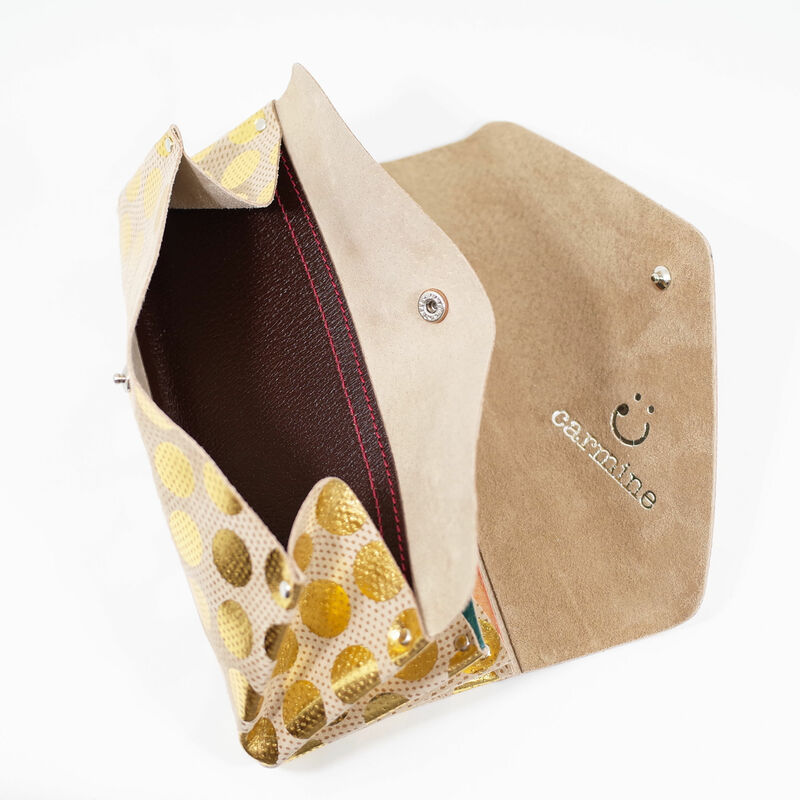 One of our presence item with metallic polka dots on good-touch suede. 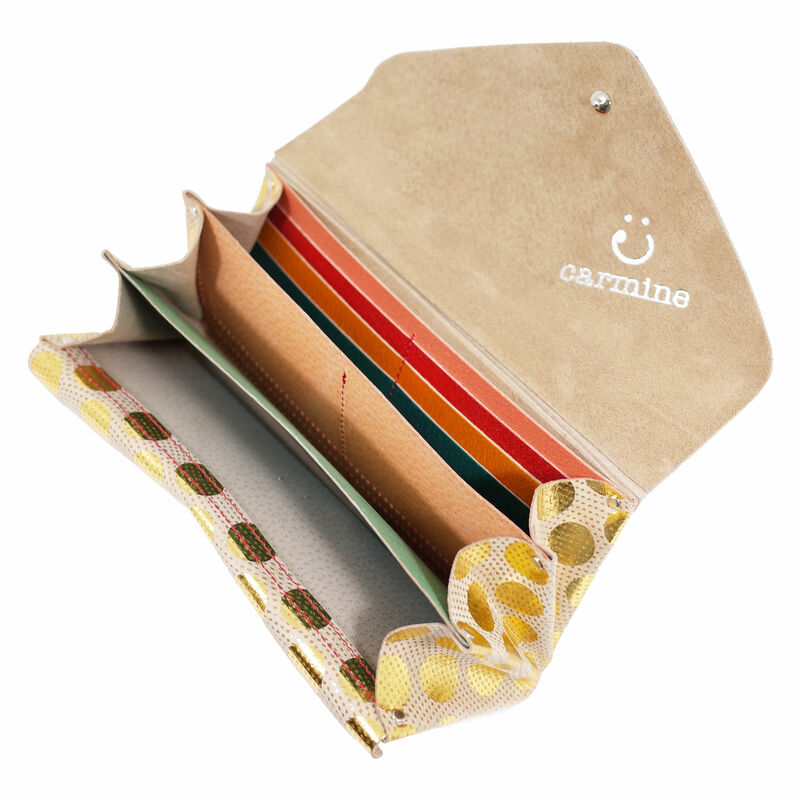 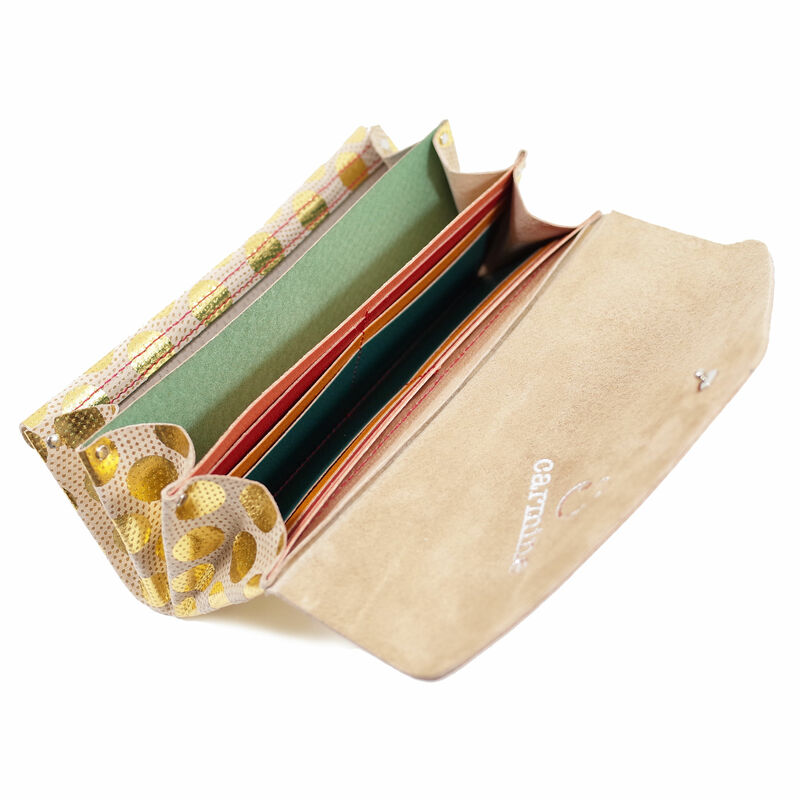 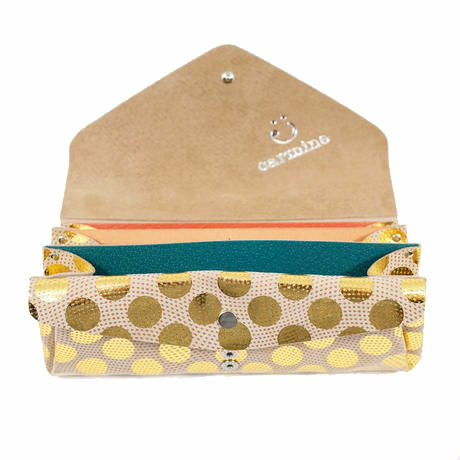 It has colorful interior compartments and 12 card slots.